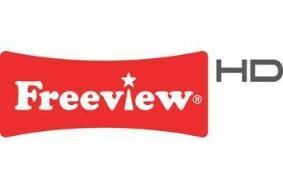 Ofcom backs BBC's plans for Freeview HD copy protection | What Hi-Fi? The BBC has received the backing of Ofcom in its plans to introduce copy protection in to HD receivers. The copy protection would restrict the use of TV content by consumers. It would not stop viewers being able to record the BBC's and other broadcasters' HD content, but the content would then only be accessible on devices that supported the same content management. In its second consultation on the BBC's proposals, Ofcom said: “The BBC's aim is to ensure that rights holders, such as film makers and TV production companies, have confidence that the copy management system is effective. The BBC has plans to encrypt Freeview HD data, in an effort to thwart piracy. The corporation says it's under pressure from content-providers to protect its high-definition broadcasts, and will thus encrypt the data set-top boxes will use to access programming, and only offer decryption keys to 'trusted manufacturers'. The BBC's licence doesn't allow it to encrypt the audio or video content of its broadcasts, so a system allowing it to prevent unauthorised access to the content is seen as a workable solution. A statement from the BBC, which has submitted its proposals to industry regulator Ofcom, says that "We are committed to ensuring that public service content remains free to air – i.e. unencrypted. "However, HD content holders have begun to expect a degree of content management on the Freeview HD platform and therefore broadcasters have recognised that a form of copy protection is needed."